Dear Users due to receiving calls on previous SMS center number we are facing some issues on booking your order. Kindly do not call on the SMS number. Key Features of Docoss X1 Smartphone? 4 inch IPS screen, 5 points touch capacitive screen. 0.3MP Front Camera, 2.0MP Back Camera with flash light. 4 GB Internal Memory (ROM) and Support MicroSD Card with 32GB of max capacity. Dual Sim Support Docoss X1. Bookings Open:- 6:00 AM, 27 April 2016. Bookings Close:- 10:00 PM, 29 April 2016. Delivery Begins from:- 2nd May 2016. 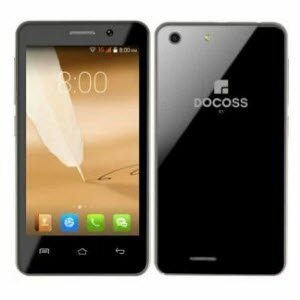 How to Book Docoss X1 Smartphone online at Rs. 888? Visit deal page here (Site currently facing some technical issues on website due to huge traffic). Enter the details and Click on Book Now option which is there at the bottom of the page. After that choose one of the payment method and finally verify all the details..
How To Book Docoss X1 Smartphone Offline? Open Messaging in your mobile. Enter your Name, Address, Pin Code details. Comany Address: 3rd Floor, Happy Tower, Maharani Fram, Durgapure, Jaipur, Rajasthan, Pincode: 302018. Docoss is a Rajasthan Jaipur based company. Domain registered only 2 months back according to whois.